The Honor 7C has been unveiled in China today after a series of rumors and speculations. 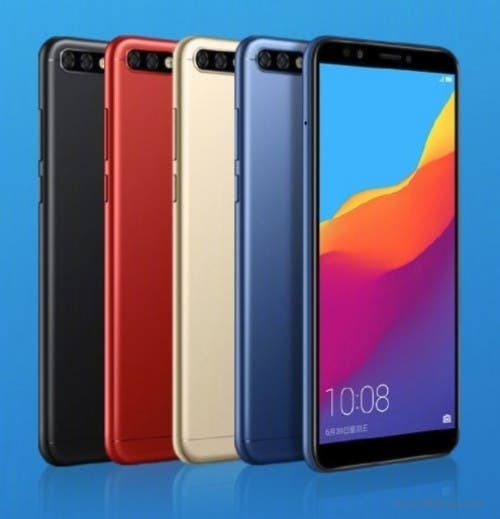 The 7C has launched right in the midst of all the reports regarding the P20 series. There seems to be no stopping Huawei! Honour’s newest mid ranger brings to table a full screen display on the front and a dual camera setup on the back confirming with the current trends. The phone seems sleek with a metal body and four different colours, Black, Red, Gold and Blue. The volume and the power buttons sit on the right side of the 7C and the dual SIM/microSD card slot sits on the left. The fingerprint scanner sits on the back of the phone. The 7C features a 5.99-inch 1440 x 720p display with an 18:9 aspect ratio and 2.5D curved glass on top. Under the hood lies the Qualcomm Snapdragon 450 chipset. This is coupled with either 4GB/3GB RAM and 64GB/32GB onboard storage respectively. On the back sits a dual camera setup which is a combination of a 13MP primary sensor and a 2MP depth sensor. The front houses an 8MP snapper. Both the front and the back support portrait mode. The battery is a 3000mAh unit. On the software front, the phone comes with Android Oreo 8.0 with EMUI 8.0 out of the box. 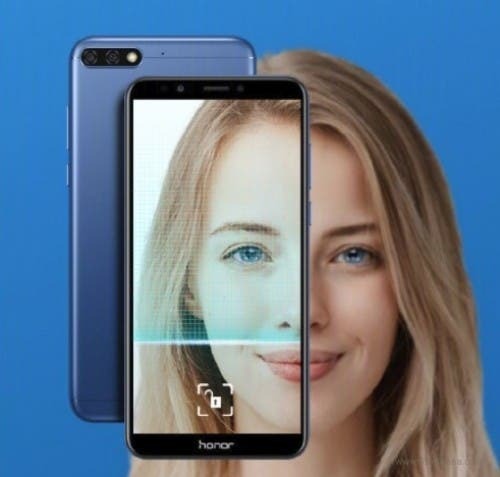 It features face unlock that is camera dependent. 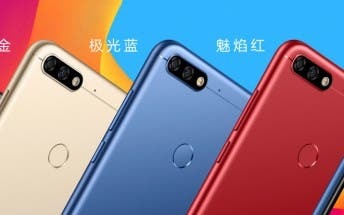 The phone will go on sale in China starting tomorrow, 13th of March. The 4GB+64GB variant will sell for 1299 Yuan whereas 3GB+32GB variant will retail for 899 Yuan.